New limited zine in stock and events news! Just a few updates on new things happening with One Beat – first off, we have some very limited quantities of the beautiful screen printed and risographed Girl Zine in stock here. Only a couple or so left! 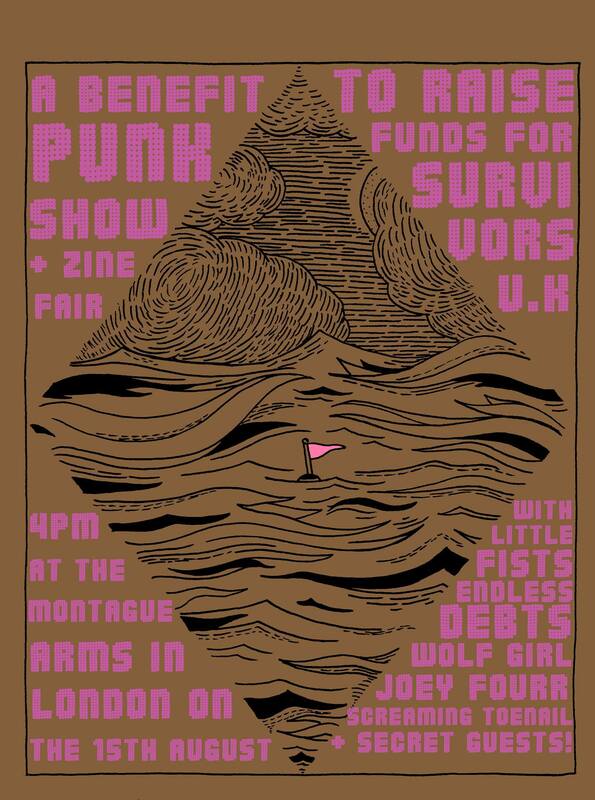 – a benefit show to raise money for Survivors UK. From their website: “the UK’s largest charity offering direct support to male survivors of sexual violence. Survivors UK has had £70,000 cut by the Mayor of London, and is facing closure in September if funding is not found from another source.” So come along and help avoid the closure! Sarah and I will also be DJing the after party. We promise to not play Buffalo Stance on repeat (probably). We’ve also had the first contributions for the new anthology trickle into our inbox – there will be more announcements around that soon! More stuff in the works as always, so keep an eye on this blog!